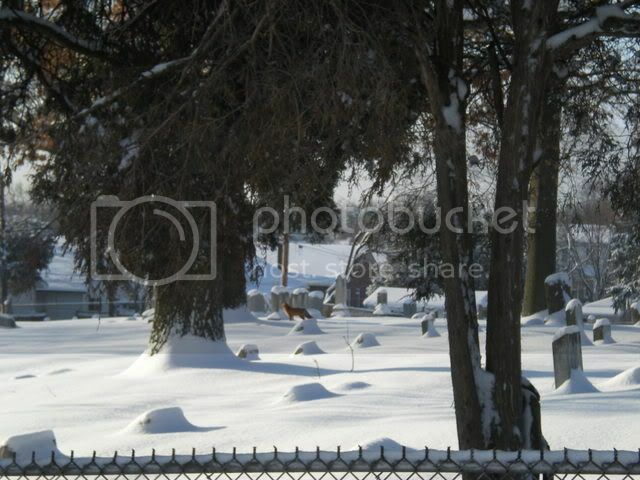 I caught some red foxes playing in Concordia Cemetery this morning. 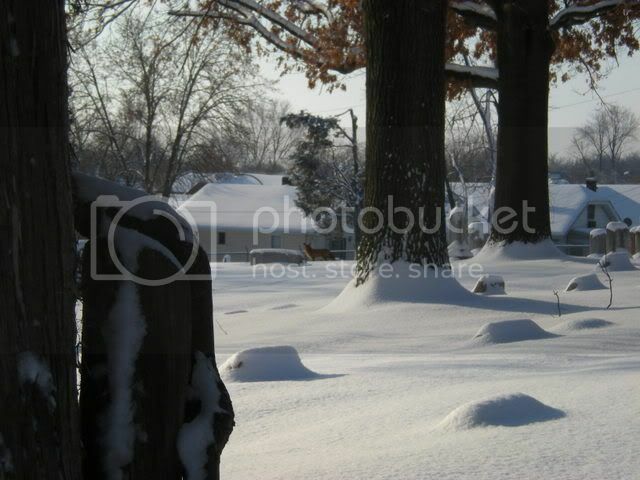 Red Tailed Hawks hunt there, too, but I've never been lucky enough to get a photo. Hooray! 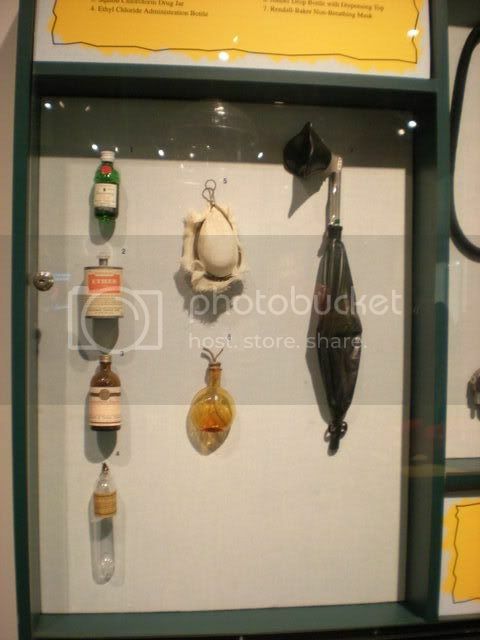 My favorite St Louis Science Center exhibit is out of storage! 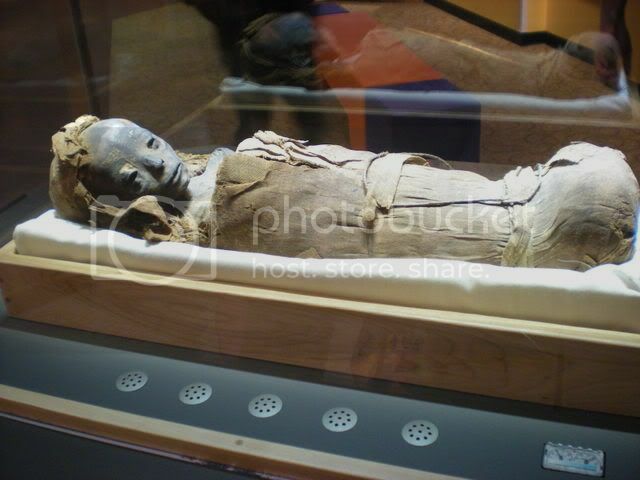 You may remember the medical exhibit from the old Planetarium side. I think it was part of the tunnel from the Planetarium to the new building. 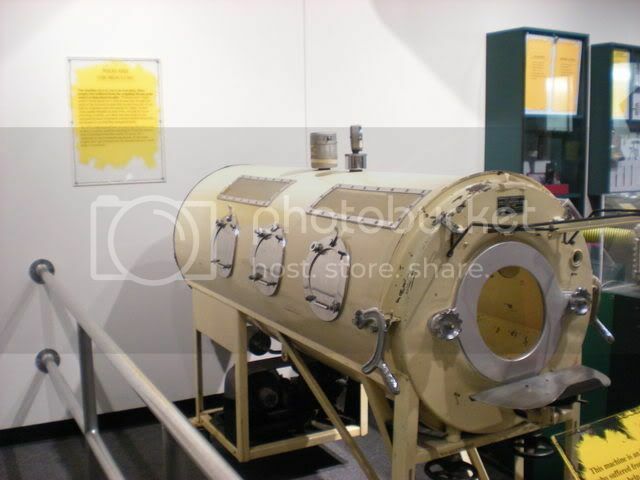 When they remodeled the Planetarium and the tunnel, the medical exhibit disappeared. It's my love of quackery and furniture all in one! 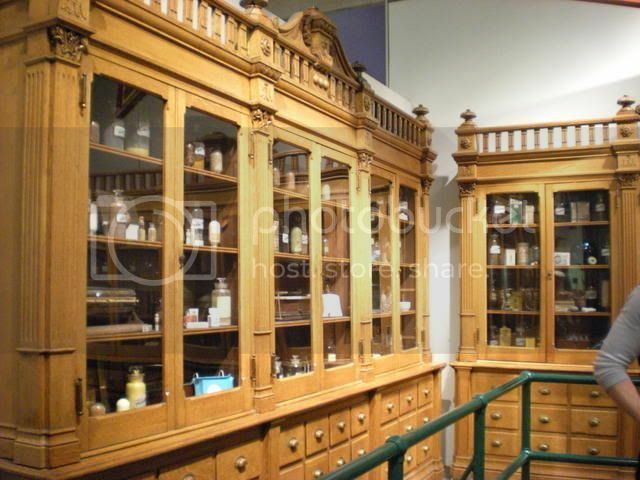 What I wouldn't do for those apothecary cabinets! Glass Eyes. This was my favorite even when I was young. 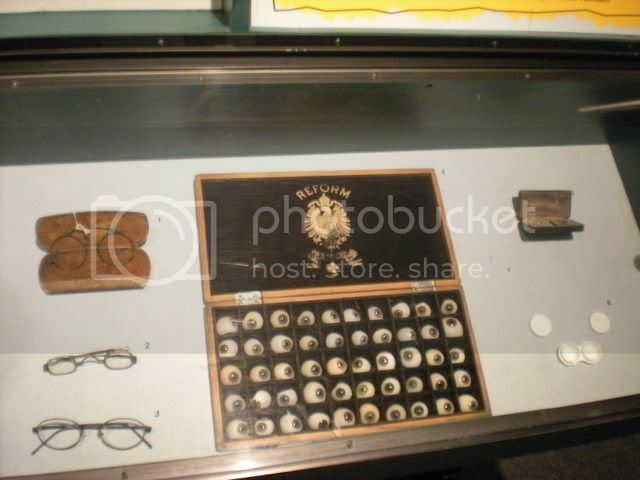 On this weekend I was dashing through the exhibit calling to my friends, "Have you seen the eyeballs? Are they here?" 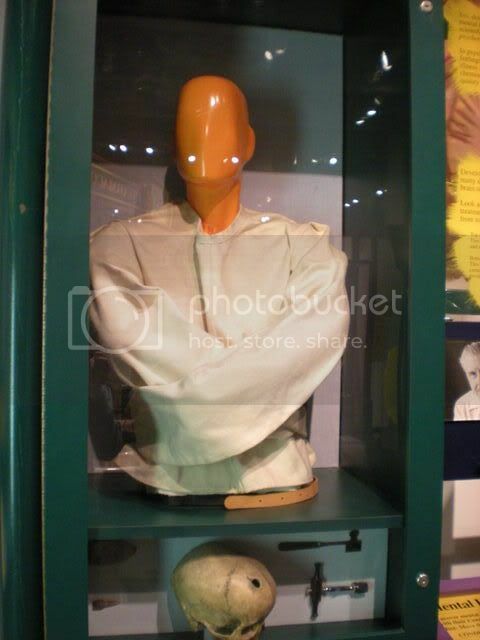 Straightjacket above, skull with trepanation hole below. These next two are on the first floor. 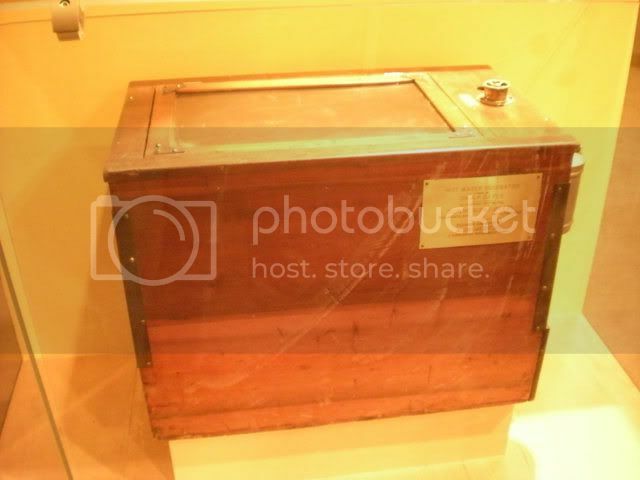 This is an incubator built for the Dionne Quintuplets. Apparently one of the astronauts is a Star Trek fan. 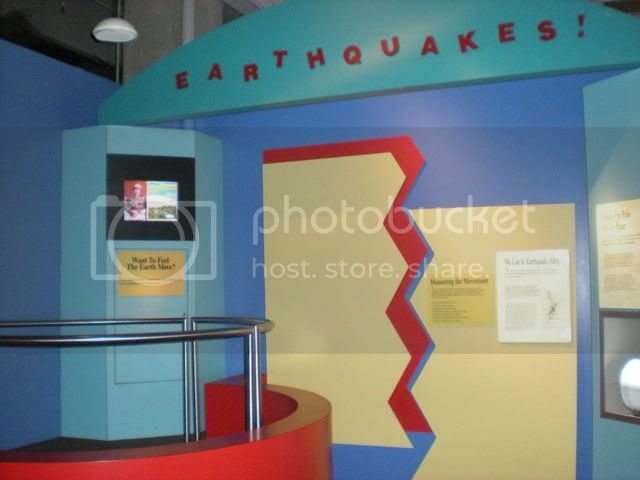 Thanks to this exhibit, with earthquake simulating platform, I knew that the St Louis earthquake in April 2008 was an earthquake and not a poltergeist. Look out, Jesse! 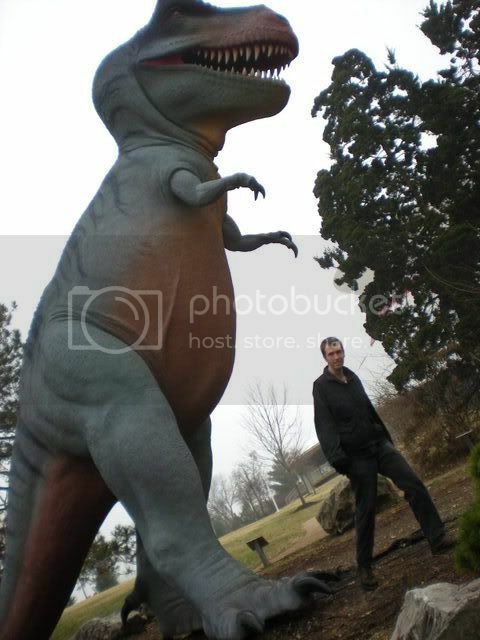 This T-rex is outside the Planetarium, but a replica of Sue, the most complete and best preserved Tyrannosaurus rex skeleton ever found, just arrived at the Science Center last weekend and will be on display until April 12, 2009. This special exhibit is $6 for adults and $5 for children (and you can combine that with an Omnimax movie for $10,) but the majority of the Science Center is FREE! You should do that Omnimax deal; the have the best movie-theater popcorn in town. Holidays are over, back to our regularly scheduled updates! I'm sorry to tell you all this, but I'm a huge nerd when it comes to historic houses and there will probably be quite a few of them posted this winter. 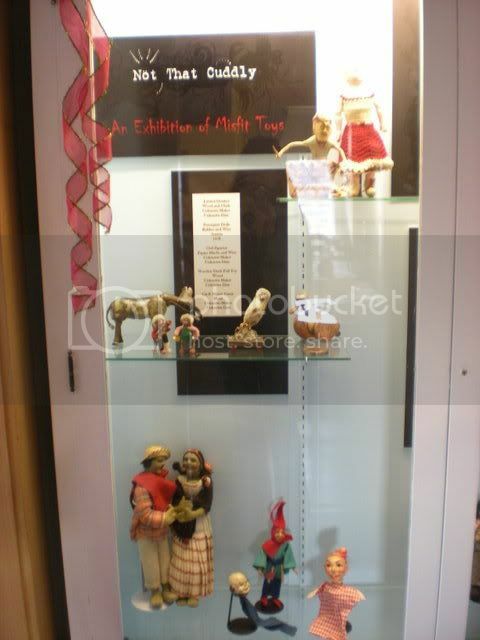 Last week I went to visit the Eugene Field House and St Louis Toy Museum on the last weekend of the exhibit Not That Cuddly: Misfit Toys. I thought the house was more of a self-guided tour, but it's actually a guided tour, even if there's just one tour guide and just one visitor. So in a way, I got a private tour! 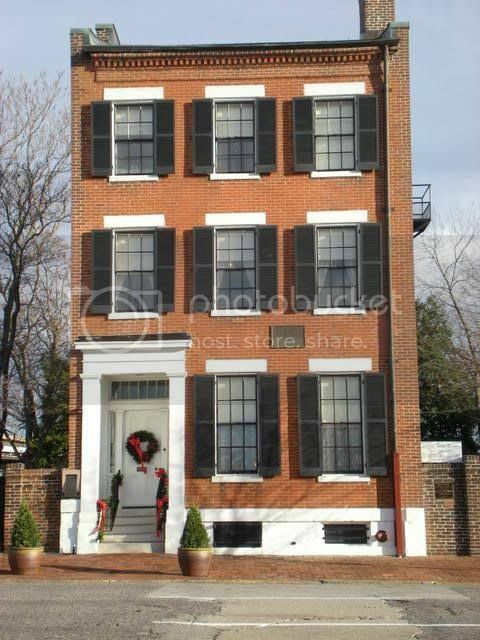 This house was the boyhood home of the poet Eugene Field, and is a toy museum because he collected toys throughout his life. Sadly, most of his pieces were lost in a warehouse fire. When you walk in, there's a long hallway with stairs to the second and third floors. 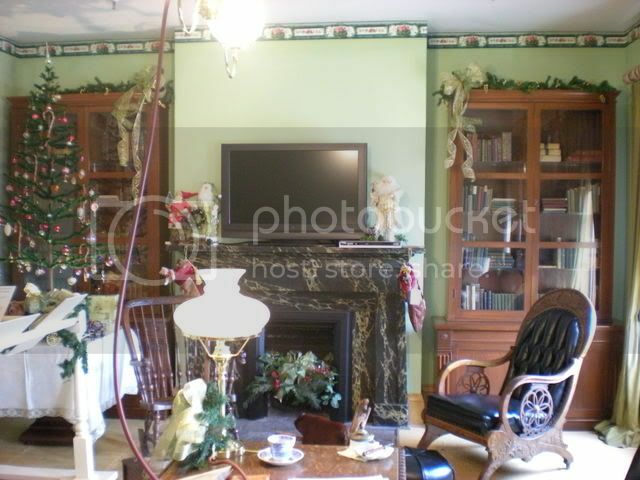 To the right are the front parlor and back parlor. 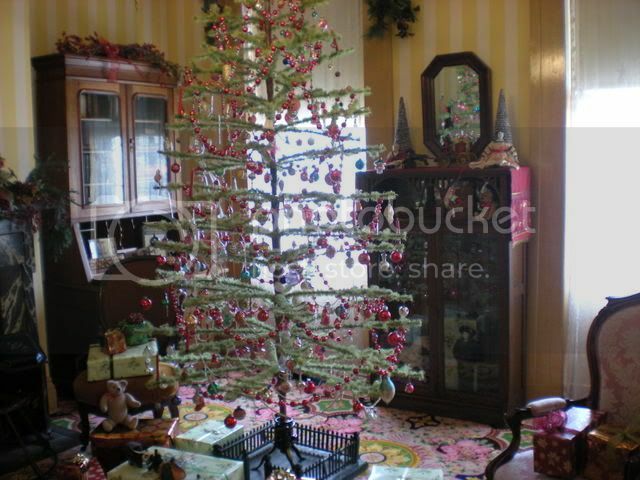 The front parlor had a big Christmas tree decorated in period style with the candles on the tips, but of course they are not allowed to light them. 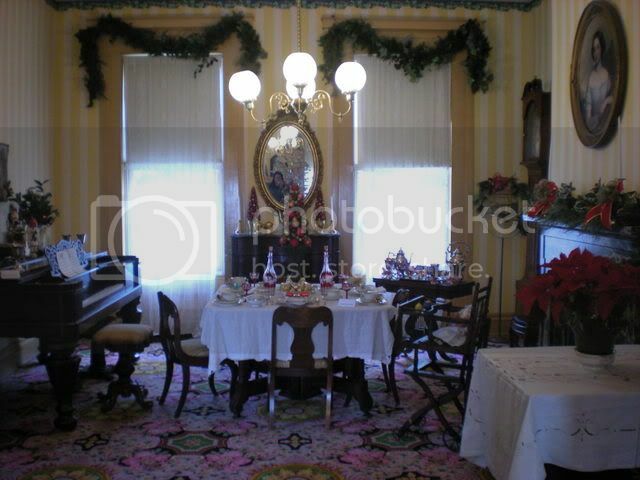 It's always interesting to me to hear how historic houses that are open for tours deal with modern fire codes. 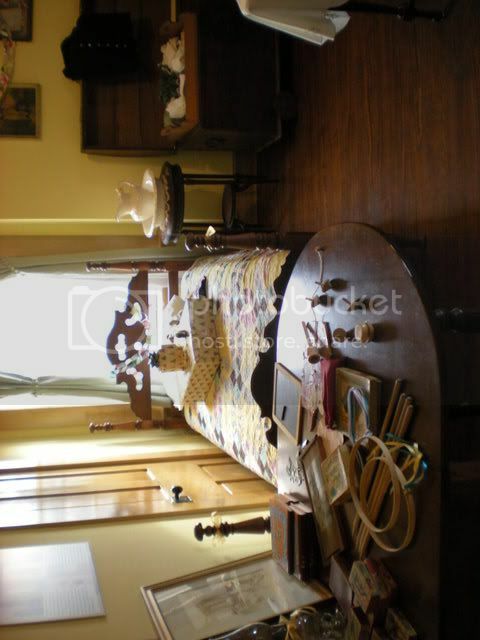 There is also a huge set of pocket doors between the front and back parlor that are not even functional because closing them would be against the fire code. It's a little awkward to take notes on a one person tour, so I can't give many details on specific pieces. However, I can tell you that the carpet was woven in Europe and it took something like 6 months for them to install it. This winter, the house will be closed in January and February so that they can install a new oilcloth floor in the foyer. That sounds blah, but "oilcloth" refers to canvas painted with oil paint, a precursor to linoleum, so I'm sure it's going to be lovely. 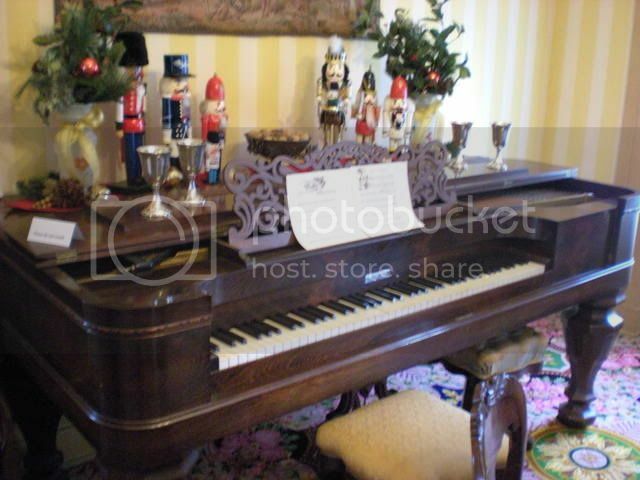 I don't remember the history of this piano in the back parlor (there's another in the front parlor that belonged to Eugene Field) other than that it's an 1850s Steinway "square piano." How cool is that? I've never seen anything like it. 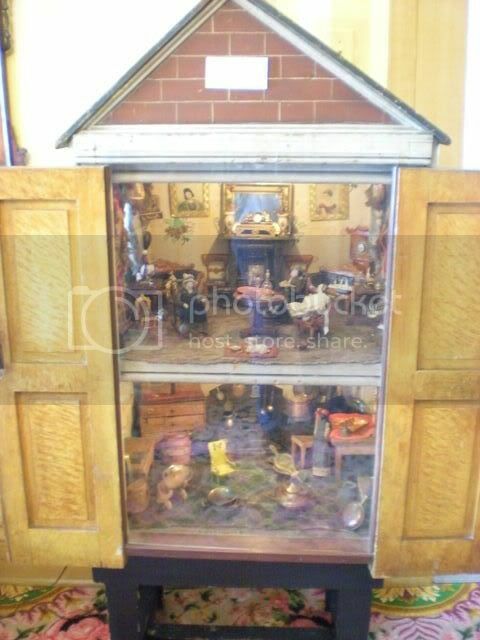 This is a dollhouse from the parlor. 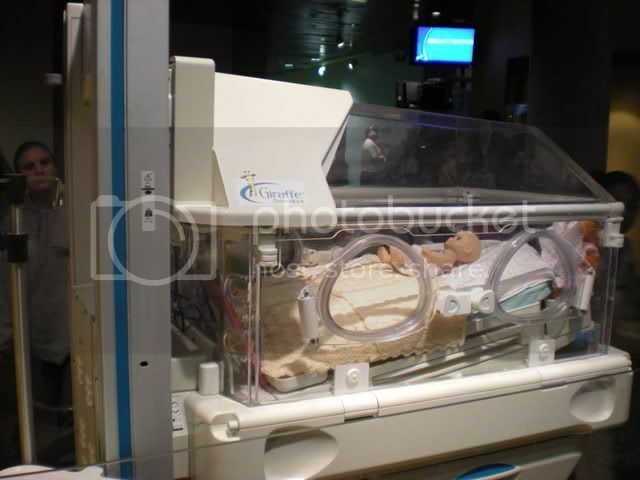 It has a sheet of Plexiglas over the front, which makes it hard to get a good picture, but I had to include it. 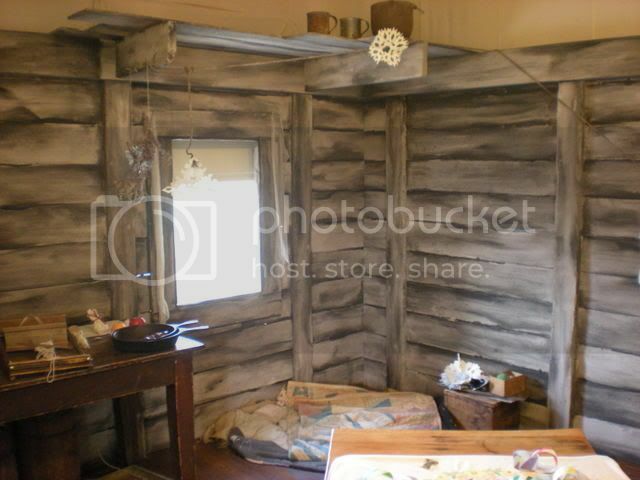 I first heard about this house from my Grandpa, who collected antique toys. 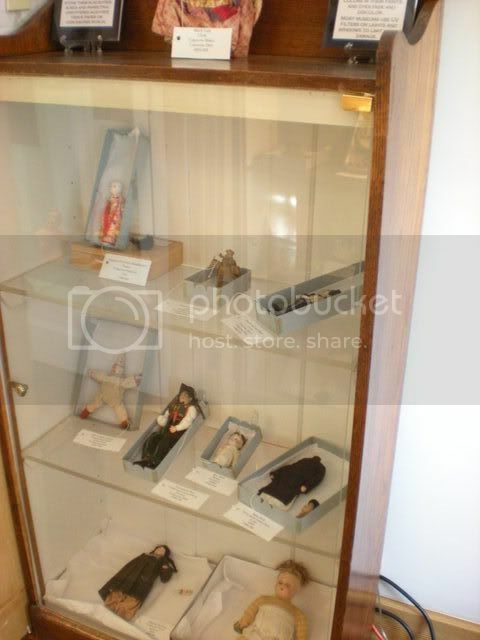 We never went with him (you know how apathetic kids are about historic house tours) but he built me a dollhouse when I was a kid so this reminded me of him. 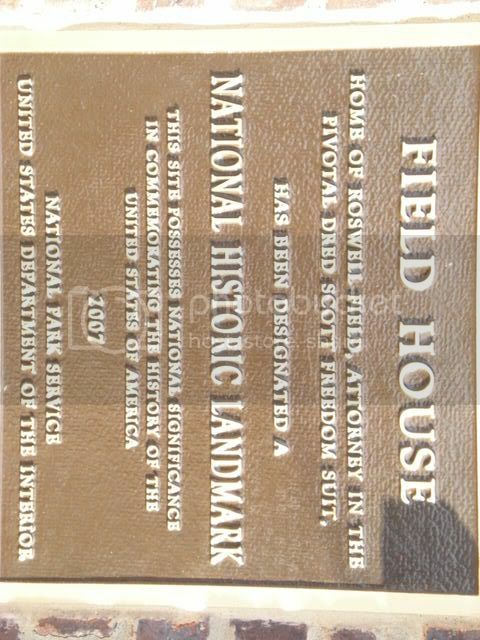 The house is on the National Register of Historic Places because of Eugene Field's father, Roswell, was a lawyer on the Dred Scott case. 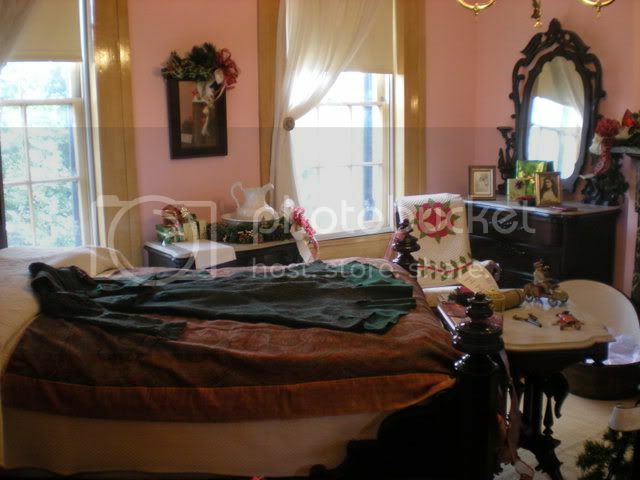 The tour guide said that a lot of school groups visit the Old Court House to learn about the Dred Scott case and then visit this house, where the second floor has a room set up like Roswell's "law library," which would have also functioned as a family room. The third floor is gift shop (I think; I didn't go in that room,) special exhibit space, and a hands-on room for kids that shows the difference between a slave child's bedroom and a freed child's bedroom. The room is set up so that the dividing line is on the diagonal, so when you stand in the middle you only see one or the other. I thought the use of perspective was really well done. The Not That Cuddly exhibit was smaller than I expected, but I can't very well leave it out of this post when it was my reason for visiting. It was just a couple glass cases of various, well, not that cuddly childrens toys. I am kicking myself for not getting the alligator/crocodile eating a lady. That was in the bottom of the second case. 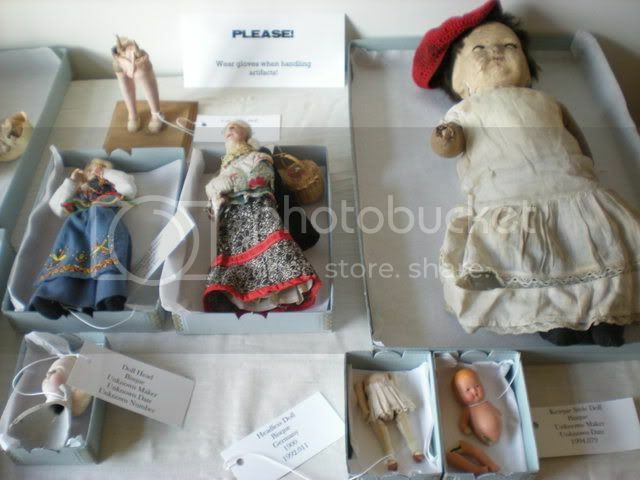 I was much more interested in the display of dolls and restoration techniques. I had no idea that there was acid free cardboard and acid free tissue paper, and that's what one should use to store one's dolls. Maybe that's why my sister's Madame Alexander doll keeps losing her head. 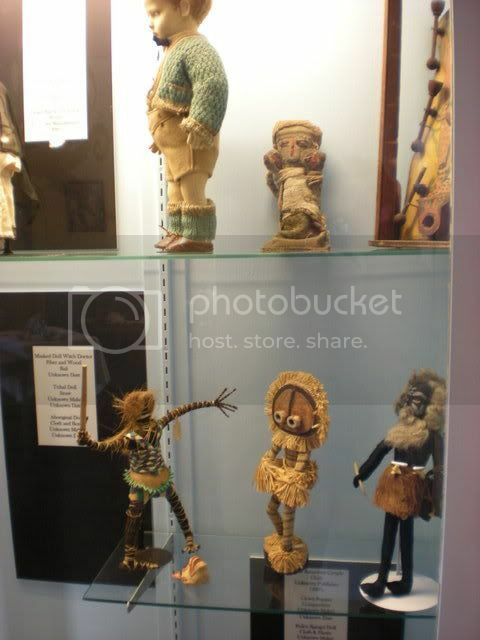 I don't know if the dolls were supposed to be part of the Not That Cuddly exhibit or not, but that's my fault since I was too busy chatting with the guide to read the signage. 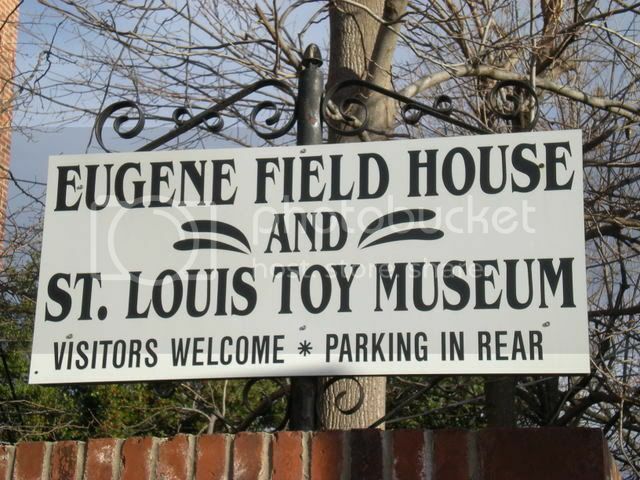 The Eugene Field House is located at 634 South Broadway, just down the street from Busch Stadium and next to BB's Jazz, Blues, and Soups. During January and February they are open only by appointment for the aforementioned remodeling and refurbishing but will resume their normal hours in March. Admission is $5, or $4.50 with your AAA card.